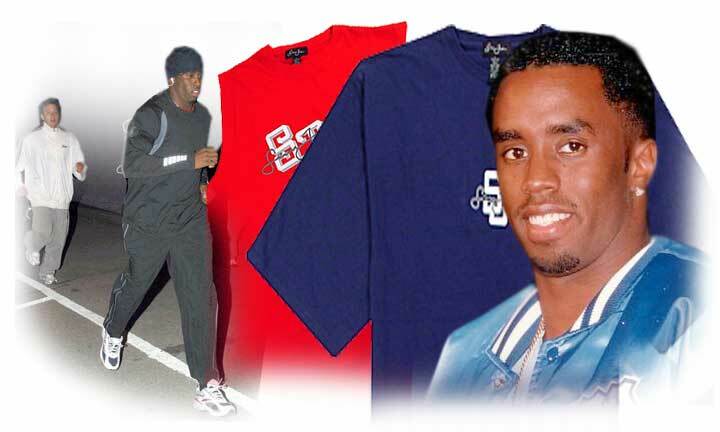 Honduras Last week Sean "P. Diddy" Combs became the latest celebrity to feel the heat of the anti- sweatshop movement, as charges that his "Sean John" T-shirts were being manufactured under inhumane conditions burst onto to the TV news. Mr. Combs, whose latest hit "Shake Ya Tail Feather" with fellow hip-hop stars Murphy Lee and Nelly has been shaking up the pop charts, denied any knowledge that workers at the Choloma, Honduras factory that makes his company's clothing were mistreated. "I want to make sure that any merchandise that has my name on it is made by workers who are treated well,"
$40 product We can take him at his word, but what to do? According to workers at the factory and the U.S.-based National Labour Committee, the 380 employees lack basic rights. Fourteen were fired for trying to organise a union, they say, and women are dismissed if they are pregnant. They also complain of forced overtime and being limited to only two bathroom breaks a day. Wages are between 65 and 98 cents and hour, which activists say comes to about 15 cents of labour costs for a shirt that sells for $40 in New York. pay more This problem of ruthlessly exploited sweatshop labour is worldwide, and has spawned an international movement. Market research indicates that most Americans would be willing to pay considerably more for clothing (28 percent more on a $10 item, according to one survey) that is manufactured under good conditions. But their opportunity to do so has so far been limited. "the net result would be shifts in employment that will worsen the collective welfare of the very workers in poor countries who are supposed to be helped." argument In other words, the jobs will leave. It is an argument that, unfortunately, carries much more weight that it should. Aside from the fact that it hasn't happened yet, this line of reasoning is flawed on other grounds. It is similar to the arguments made against child labour legislation in the United States nearly a century ago -- the families would be that much poorer if the children could not work. Or the arguments against unions and higher wages that have been used for the past two centuries: that these "interferences" in labour markets will lead to unemployment. opposed The United States was able to eliminate child labour, and to allow the vast majority of the labour force to share -- until the late 1970s -- in the gains from increasing productivity, because we changed our laws and allowed for collective bargaining. It was a long struggle: the right to organize unions was not recognized in Federal law until 1935, and even then it took sit-down strikes to make it real. And this right has been vastly eroded again -- even in a high-income, democratic society -- over the past 25 years. problem The problem is that there is no global nation-state that can establish such rights for those who work for the global corporations that roam the globe seeking the lowest labour costs. On the contrary, the most important global institutions -- the International Monitary Fund, World Bank and the World Trade Organisation -- have generally leaned in the other direction, seeking reforms that favour the de-regulation of labour markets. Workers throughout the world face a "race to the bottom" that has maquiladoras in Mexico now leaving for cheaper, more severely repressed labour in China. This is the logical consequence of negotiating ever more agreements (e.g. North American Free Trade Agreement, the World Trade Organisation) that create new rights and enforcement mechanisms for international investors, but are brazenly silent regarding the rights of labour. movement The anti-sweatshop movement can't change all that by itself. But it can provide a counterweight that helps establish new norms about what is acceptable, while aiding workers who are fighting for their basic rights. help Mr. Combs, who ran the New York City Marathon last weekend, now faces another challenge that would allow him to lead by example. He could require that his supplier recognise the union, reinstate the workers fired for organising, and concede to the workers' very modest demands on wages and working conditions. And he could announce that other clothing manufacturers should do the same. Now that would really shake some tail feathers.